When the moon is new I use my Armytek Barracuda to light up the dark parte. I have always been a tech nerd. Her you will find articles with hints on how to use your gadgets in new ways. And also reviews of completely vital gadgets such as powerful flashlights, etc. 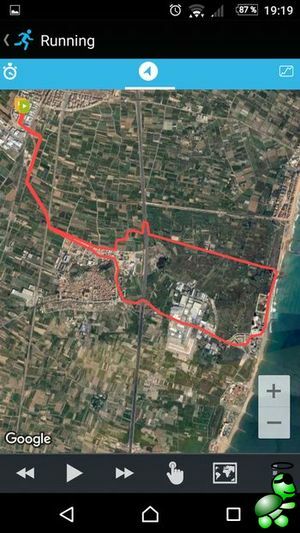 I originally had planned to write this article about the Endomondo sports tracking app, but after a total of 7.333 km of practice (mainly running and mountain bike riding) I decided to test a new app. 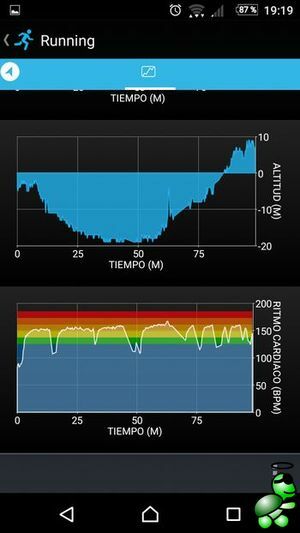 I had been waiting for a long time to be possibility to work with heart rate zones in Endomondo (to use together with my Garmin Forerunner Ant+ Heart Rate monitor) with the audio coach giving feedback, but this important feature seems to have a low priority in an otherwise excellent app. 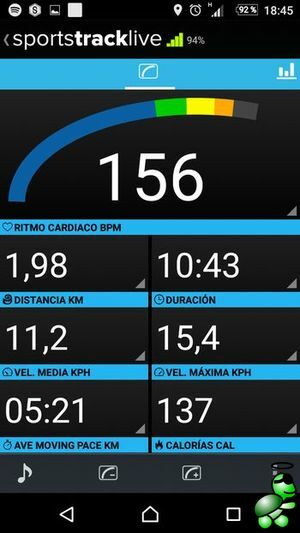 So, I started looking for a new app to be used with my trusty Android Sony Xperia Z3 Compact, my Garmin Forerunner Ant+ Heart Rate monitor and my Philips SHQ1200 ear buds. I really need to control my heart beat frequency when competing against the hare. Apart from Endomondo, there are several well-known apps to choose between for tracking running and biking exercises (such as Runtastic, Runkeeper, Strava just to name a few), but the available selection was narrowed down due to my requirements to have audio feedback for the current heart rate zone and also by the need for it to work with my Garmin Ant+ HRM (Ant+ is an energy efficient radio communication protocol for those who wonder). For the record, I am in general willing to pay for the app provided that I like it and that it gives me the functionality I need. So, I downloaded and tested several of the mentioned apps, but I was not fully satisfied by any one them. I had almost had given up, when I found SportsTracker (from sportstracklive.com) which should not be confused with Sports Tracker (from sports-tracker.com). Recently I was faced with a small IT problem at home. The situation was that Mrs Supertortuga uses an old laptop of mine to download the mail (she normally uses an Android tablet or phone for most of her internet related tasks). This laptop is still working, but it is getting obsolete, running Windows XP which is no longer maintained. And the usage of the old laptop is also limited by that it is in practice restricted to use at one location (due to poor batteries). To get the complete picture, I already have a wired LAN and wifi network at home. My 8 year old TV is equipped with a first-gen Chromecast device to stream movies, etc. My laptops, NAS devices, printers, phones, tablets, etc are all connected to this network. You think I' just a stupid turtle? No, Sir! I'm a stupid tech nerd turtle, that's what I am! Install a lightweight Linux operative system on the laptop and continue as before. Pros: no cost solution. Cons: I don't have time to set up the system, and though I would not mind using Linux myself, Mrs Supertortuga is not used to it. Purchase a Raspberry PI and install a suitable distro. Pros: low cost solution. Cons: My time is still limited, and I know that I would end up also purchasing a new keyboard, and a new monitor with HDMI input would also be required (the old laptop is connected to an old VGA monitor). Purchase a stick computer (an Intel Compute stick for around 170€) to connect directly to the TV though the HDMI input (I think I have an unused input). Pros: I would do away with the old laptop and monitor, and get a new PC capable of working as a mediacenter. Cons: more expensive than the Raspberry, and I would end up with another lowspecs PC to maintain, which would also soon be obsolete. And I would also need an external bluetooth keyboard and mouse to use it. It is autumn, and here in Europe we are heading towards the darker part of the year (and additionally helped by the recent change to winter time). This is ofcourse good news for everyone that just like I are flashlight geeks. As you might have read in my review of the Armytek Wizard headlight (which was my first Armytek flashlight), I found the headlight form factor to be extremely versatile and it is still one my my favourite flashlights. 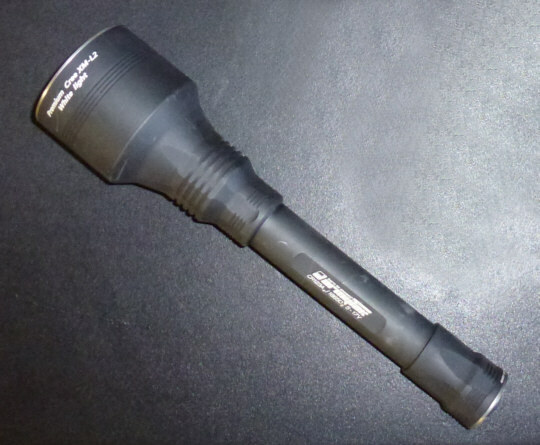 But, who can resist a powerful flashlight such as the Armytek Barracuda? Since I first got my trusted Sony Ericsson Xperia Ray back in 2011, until just recently it was not on my map to replace it for any other phone. The Xperia Ray stopped being updated with Android Ice Cream Sandwich (4.1), which in some respects was a downgrade compared to the lighter Gingerbread. So I ended up I have experimenting with various flavours of the Android operative system, first some home-brewn builds based on Gingerbread (2.3) , and later several versions of the Legacy Xperia initivative based on Android Kitkat (5.0), Lollipop (5.1) and Marshmallow (6.0). 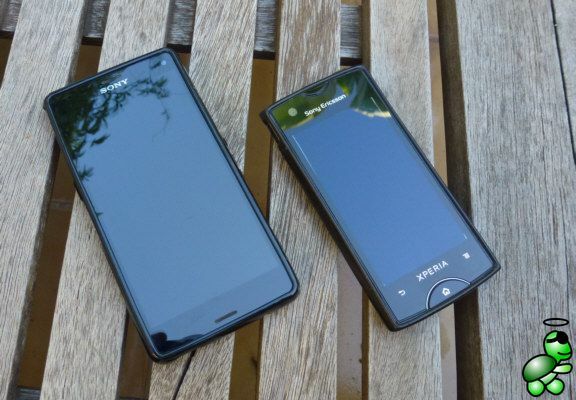 I really love the form factor of my Xperia Ray - I have not found any phone with decent specification with this size, perhaps with the exception of the iPhone (which for various reasons is not, and won't be, an option for me). The Legacy Xperia has offered me a stable and updated version of Android, working perfectly for everyday usage and giving a 48+ hour battery timing (with gprs data, gps and wifi enabled). Also, the updated software also improves the original specifications of the phone, for example using the external SD card to extend the storage memory for applications.